This is a seasoning mix I have had in my pantry for awhile. It is from Get Cracking! but I cannot find the recipe on their site. This seasoning mix was for sprinkling on eggs but it is very versatile. You can use it on pasta as well as on vegetables. I used this most recently for an egg recipe that I will be posting in the next few days. 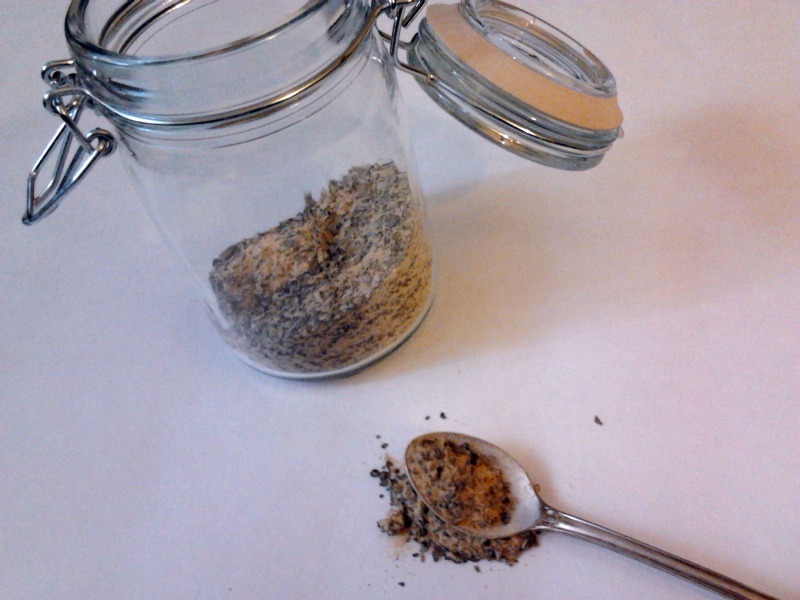 I make the bulk version and keep it in glass jar in my pantry. Mix above ingredients and store in air-tight jar.